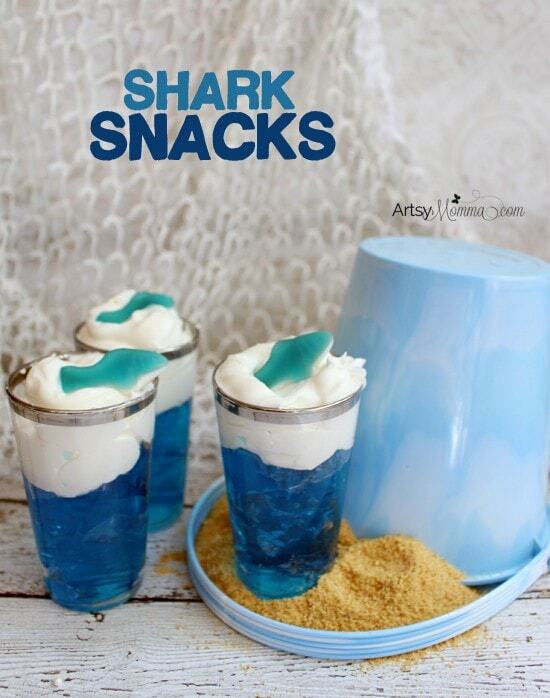 Home » Super Cool Jello Shark Snacks! 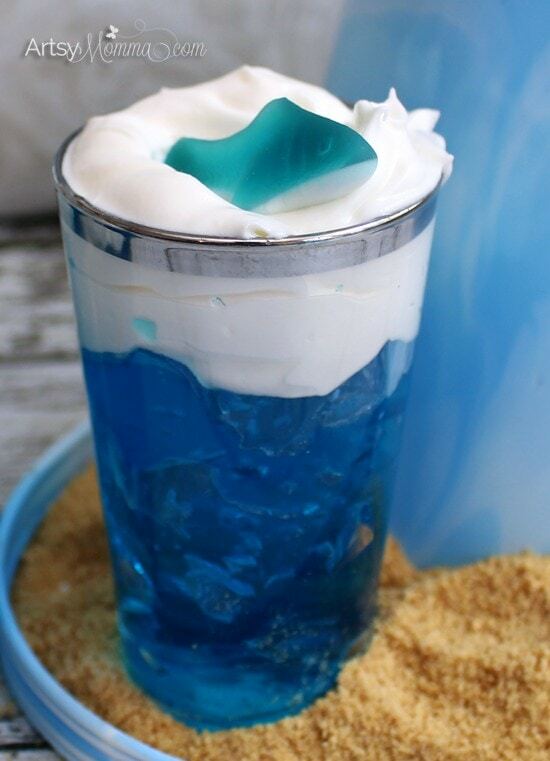 If you’re hosting an ocean themed party, these jello shark snacks are a fun and cool idea! Maybe you’re hosting pool party, mermaid party, Finding Nemo birthday theme, and so on. 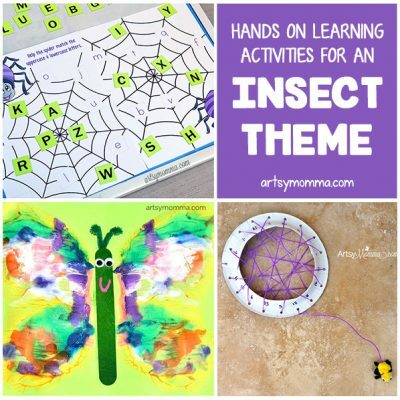 They are super easy-to-make and sure to wow the kids. Besides water, you only need 3 ingredients. 1. Add 2 cups of boiling water to the box of jello in a mixing bowl. Stir until completely dissolved. 2. Stir in 2 cups of cold water. 3. Pour the liquid jello into clear cups or small glasses. 4. Refrigerate for 4 hours or until firm. 5. Add whipped cream on top of each. 6. Place a gummy shark or similar on top of the whipped cream. 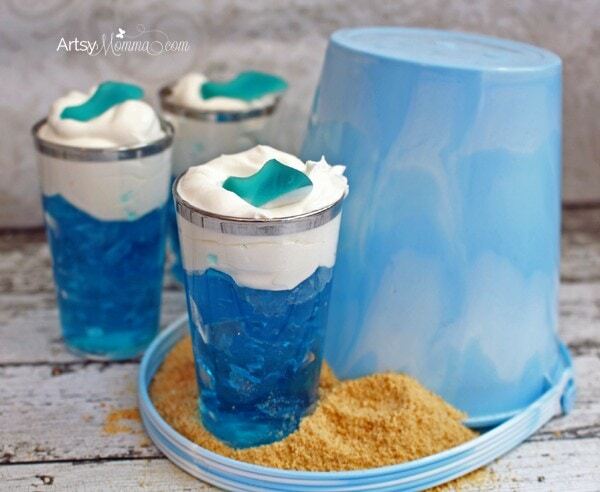 If you are making these jello shark snacks for a party, it would be fun to dress it up with sand, pails, shovels, little ocean animal figurines, a fish net, and anything else you can think of. They are fun to make during Shark Week! Did you use canned whipped cream or the once frozen, then defrosted whipped topping? 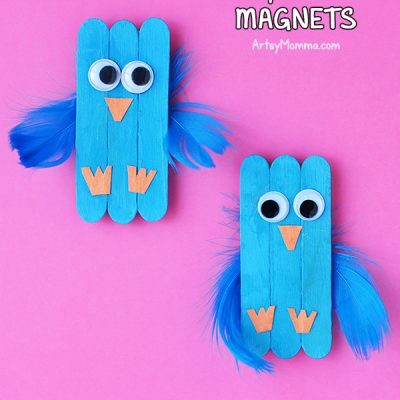 We will be making these for VBS next week!